This is a pretty interesting infographic made by the people at hastalosmegapixeles. 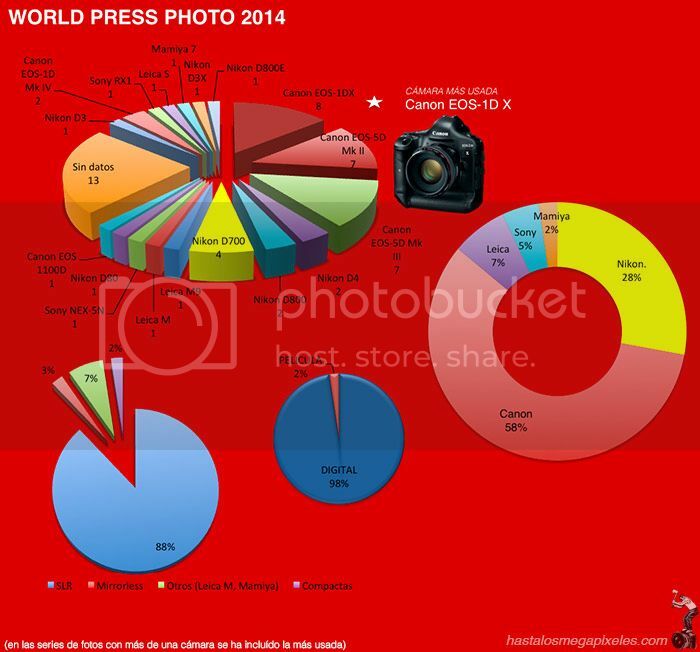 The graphic shows a breakdown of the cameras used for the World Press Photo 2014 awards, won by Canon photographer John Stanmeyer. Canon dominates. 58% of the cameras used are Canon cameras, 28% are Nikon cameras. 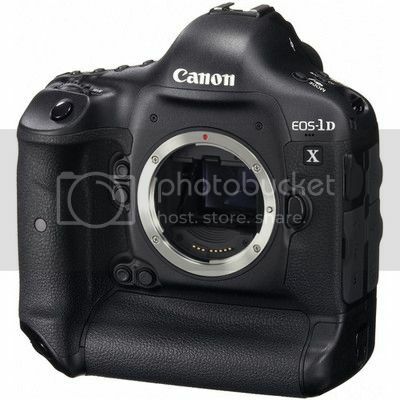 Canon is prominent with the Canon EOS-1D X (8%), the Canon EOS 5D Mark III (7%), and even with the relatively old Canon EOS 5D Mark II (7%). 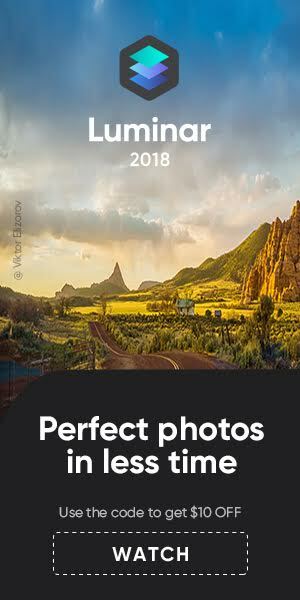 No surprise here: Canon rules the professional photographers world. 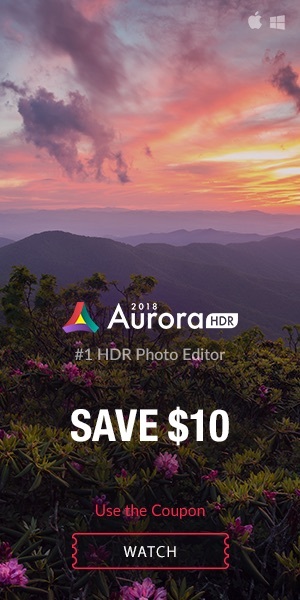 Nice to see that an entry-level camera, the Canon Rebel T3/EOS 1100D, is also part of the game (1%). The original article (translated) claims that 86% of the winners used Canon gear, but I can not see it in the info graphic. Finally, there is still people using film (2%), and mirrorless cameras do not appear to play any role (3%), but some are using compact cameras (2%).